Egusi soup with Tomatoes and bitter leaf. My dad’s special recipe for egusi soup, maybe it might not be so special but it really is my best way to cook egusi soup. 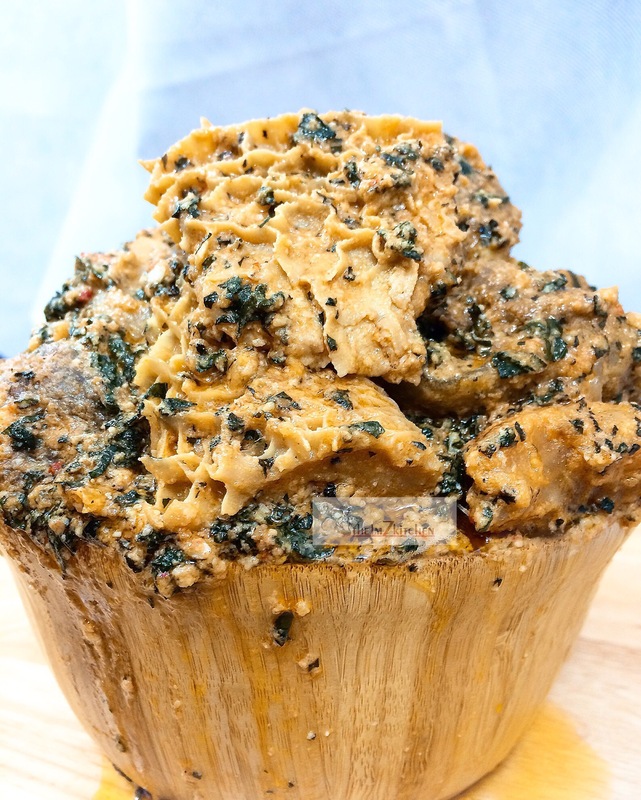 Egusi soup is one of the most popular Nigerian soups eaten home and abroad. It’s tasty and very delicious. This recipe uses vegetable oil instead of palm oil and also I use tomatoes. Boil your meat earlier including stock fish. Dry fish should be cleaned with salt and hot water. Grind melon seeds till smooth , add warm water and make a paste. In a medium pot, heat your oil until hot, add blended tomatoes and allow to fry for about 10-15 minutes. Add egusi and allow to cook, stir constantly for 15 minutes, add a little water or stock if you have any. Add crayfish, pepper, seasoning cubes , dry fish and stock fish and cooked meat. Stir together . Don’t forget to taste , allow to boil for about 15-20 minutes. Next Post Stuffed plantain Boats.